Tuesday was a successful day. 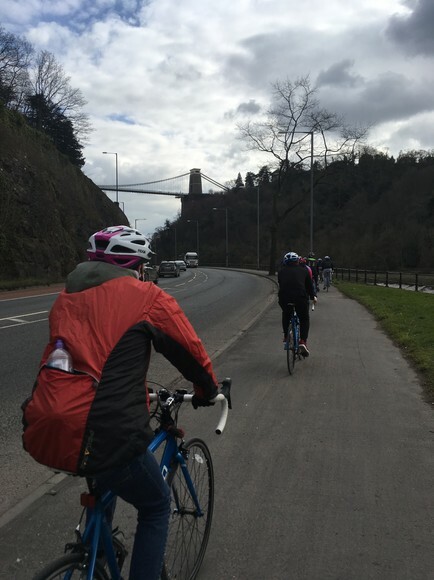 We headed off to Bristol early at 7am from school and we’re met by many of the people also taking part in the PruGOals programme. It was good to see everyone again, still as excited as at the digital launch. We took part in different stations during the day which consisted of nutrition and motivation tips. These were all extremely helpful. 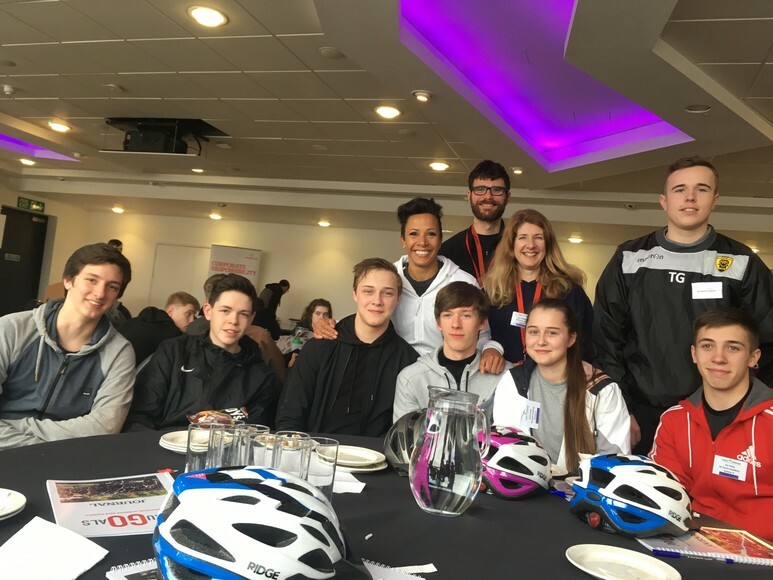 We all had the pleasure of meeting Dame Kelly Holmes before taking part in our training ride who was lovely. The ride was completed by us all successfully and it was an incredible experience to get a small taster of what the real event in London will be like. On Tuesday 20th March we travelled down very early in the morning from school to M Shed in Bristol. We were going to complete our training ride with our PruGOals team!! We arrived on time and we were taken upstairs where the start to the day was imminent. We were broken off into groups and sent to different stations. Our first station was all about our goals for the ride. We re-evaluated the goals we set last time and decide on some new ones too. We then learned more about the fantastic route we would embark on whilst we did the Prudential ride London. It was all getting real now! After we had a quick break, we then moved on to our nutrition workshop. In this workshop we were informed about the best ways to keep our bodies in tip top shape so that we can complete the ride. This was very helpful and i already feel like it is helping. Lunch came after that which was great as all the food talk made almost everyone hungry. Lunch was finished and there was only one thing left to complete... our training ride! We had a short briefing and we made our way out into the car park of M shed and collected our bikes. Firstly we had to check our air, brakes, chain and direction on our bikes before we could begin. After a great hour and a bit we were all finished for the day and I felt like I had achieved an Olympic gold medal with all of the hard work I put in. Luckily we had a relaxed journey back home and a well earned chill out once we got back. What a day!